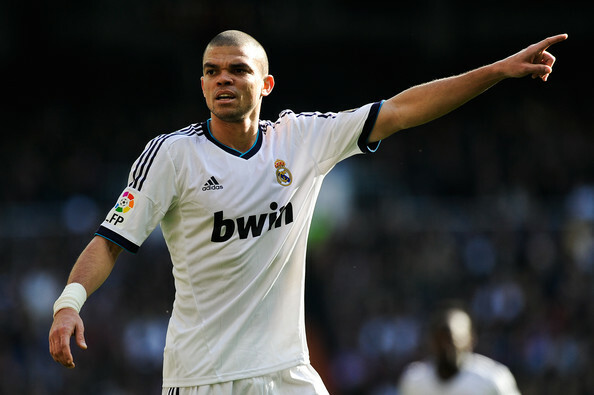 Real Madrid’s problems at the back continue after defender Pepe has been ruled out for yet another game along with defensive midfielderCasemiro. The club only recently added defender Marcelo to the list with the new hamstring injury. The player suffered this problem in the 1-1 draw against Villarreal a few days ago.Casemiro, just a few days ago, was diagnosed with a fractured fibula. The club are up against Las Palmas this weekend and centre back Pepe has also been ruled out of the game after failing to recover from an injury. The Portuguese was unavailable for the Friday training session. These injuries bring a massive headache to manager Zinedine Zidane. The Frenchman was able to win the Champions League title in his first season at the club, but he has much bigger problems this time around. Failure to win yet the league title would be a massive issue considering that Barcelona have dominated the domestic titles over the last decade. As a result,Zidane has to win the league at all costs. At the start of the campaign, things have been looking extremely positive even with the draw against Villarreal. Real Madrid are top of the table with only two dropped points so far. It is a considerable improvement over the reigning champions Barcelona, who have already suffered a defeat this season. “Following tests carried out today on Marcelo at the Sanitas La Moraleja University Hospital, he has been diagnosed with a grade 2 muscle strain in the soleus muscle of his right calf. His recovery will continue to be monitored. Pepe did some individual ball work away from the group, while Marcelo and Casemiro continued with their recovery processes,” said a statement on the Real Madrid official website. Defence is one of the areas where Madrid can improve this season.